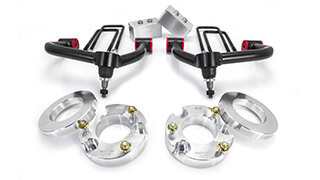 ReadyLIFT Suspension Leveling and Lift Kits are some of the most popular aftermarket products for Toyota truck and SUV owners. 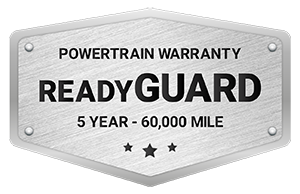 Leveling systems not only transform trucks like the FJ Cruiser into a taller, better-looking vehicle, but they also provide a more commanding view of the road. 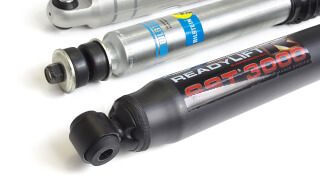 Lift kits from ReadyLIFT, the leader in suspension leveling and lift systems, are the most economical and safe method of altering vehicle ride height, which also allows the consumer to upgrade his tires to a preferred larger size. Nothing looks better than a truck fit with an aggressive stance and that is exactly what ReadyLIFT Smart Suspension System (SST) provides! 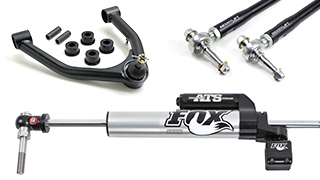 The ReadyLIFT 69-5060 SST Lift Kit is the complete lifting solution for FJ Cruiser owners. 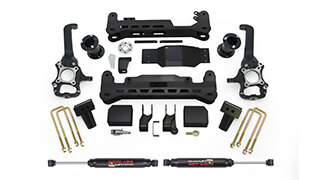 ReadyLIFT has produced a true 3" SST Suspension Lift System for the 2006-2019 Toyota 4Runner. 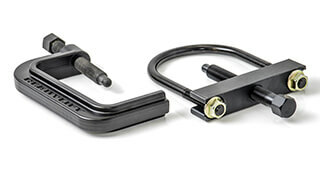 This system lifts the 2005-2013 FJ Cruiser 3.0" in front and 2.0" in the rear, all while maintaining the factory ride. Our 3" Smart Suspension Technology system fits all FJ Cruisers and provides the owner with the opportunity to upgrade to larger wheel and tire combinations up to 33-inches in diameter while retaining the great stock ride and handling characteristics. 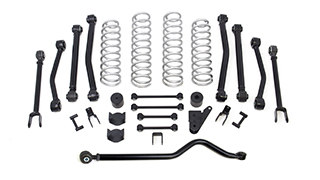 This is a complete suspension lift kit that includes a pair of powder coated steel strut extensions, two front differential drop brackets, two skid plate spacers and a set of rear lift spring spacers. 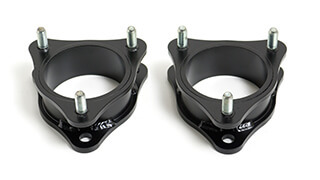 The SST strut extension and diff drop bracket have been designed to provide 3" of front suspension lift while retaining the OEM safe suspension geometry. 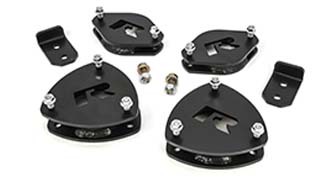 Unlike other kits, the ReadyLIFT 3" suspension system requires no cutting or strut spring pre-loading and installs quickly and safely using the provided heavy-duty hardware. 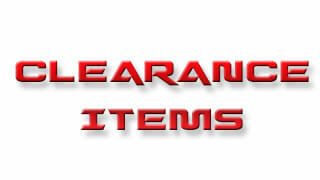 Quality step-by-step instructions are provided with every kit. 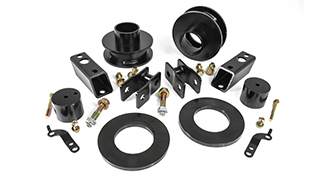 Like all other ReadyLIFT kits, our 69-5060 lift kit is guaranteed for life against manufacturing defects. NOTE: 2WD vehicles typically sit lower. 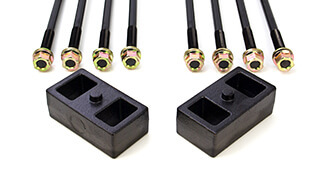 NOTE: This kit is designed with a slight vehicle rake under lightly loaded conditions to deliver a neutral stance when the SUV is equipped with passengers and/or cargo. 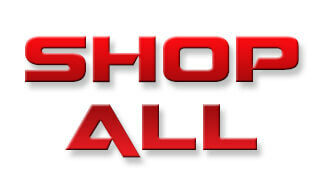 NOTE: ReadyLIFT strongly recommends wheel/tire sizing not to exceed the maximum recommended fitment. Larger tires and/or aggressive wheel sizing/dimensions may require plastic or metal trimming to prevent no-rub conditions.